Agenda 21 is the United Nations plan for pushing Sustainable Development around the world. It was devised at the United Nations Conference on Environment & Development in Rio de Janerio, Brazil, in June of 1992. 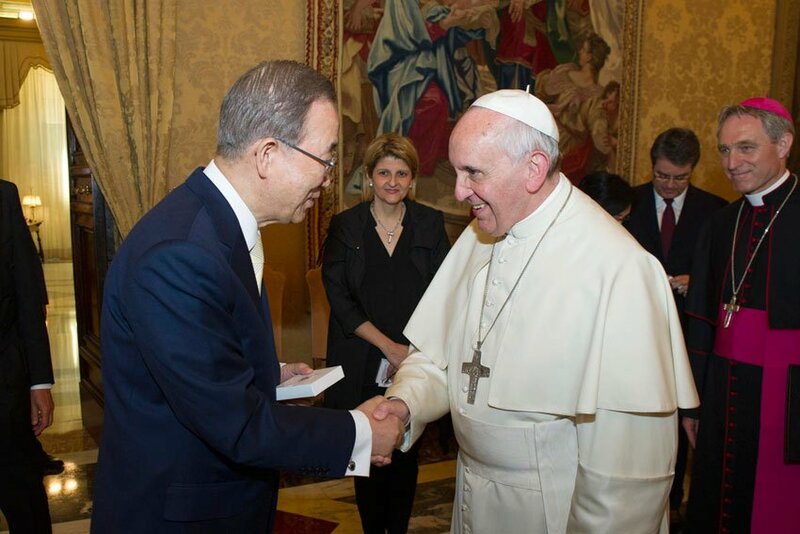 Mr. Ban met with the Pontiff following two days of meetings in Rome with the UN’s most senior executives to discuss the world body’s global mission to promote peace, human rights and sustainable development. “We represent the family of the United Nations – and we meet at a time of test for the human family,” the Secretary-General said during his audience with the Pope. The UN chief cited the “horrific” fighting between Christians and Muslims in the Central African Republic; the ongoing crisis in South Sudan; the Syrian conflict, now in its fourth year; tensions in Ukraine; and the growing impacts of climate change around the world. “Across the UN agenda, I see the need for calm, compassion, cooperation and courage,” said Mr. Ban. “Your Papacy embodies these principles and has inspired people in all regions and from all backgrounds. We deeply appreciate your personal commitment to eradicating poverty and promoting sustainable development. Several states have banned, or tried to ban, Agenda 21 from being implemented in an effort to protect property rights. But if the Catholic church is now jumping on board the UN Sustainable Development bandwagon, will it now be preached from the pulpit? Heaven, and the Pope, only knows….